We are not sure exactly when Ellis Howe was built, but there are references to a church warden living there in 1853. Architecturally Ellis Howe is a ‘double pile’ small house rather than a cottage. The style of architecture was in use from 1770 to 1850. 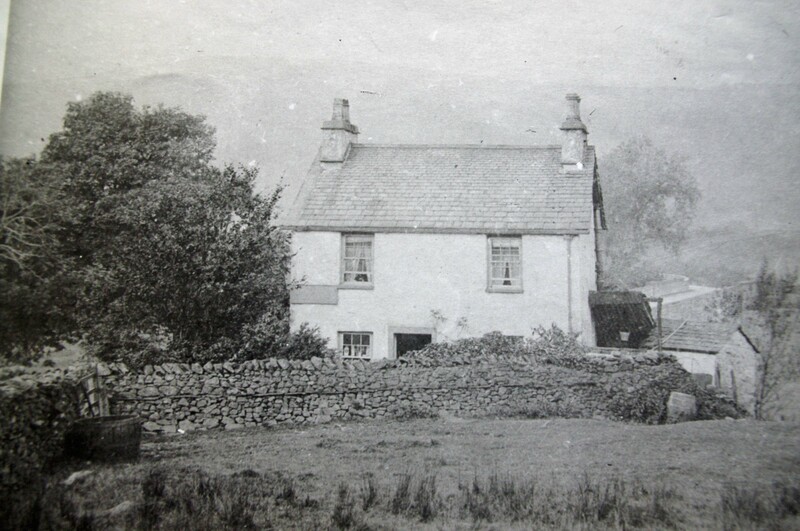 The term ‘cottage’ is likely to indicate that it was built as accommodation for someone such as a schoolteacher or tradesman, unlike the yeoman farmers in the older farm settlements. In 1861 it was occupied by Margaret Mawson, schoolteacher. In 1881 it was described as a shop and post office; the proprietor was Mary Coulthard. The main living room was then two separate rooms. One front room had a wooden counter and shelves, and the other held sacks of flour and sugar; more recently sweets and toys were sold from there. The back part of the living room had built in cupboards, chairs and a table, the living area for the whole family. The stairs, now at the back of the living room, were originally in the kitchen, rising almost vertically against the wall. A fire or a paraffin stove was used for cooking, and the ceiling hooks were used to store pots and pans. 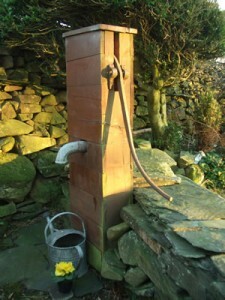 Water was obtained from the pump still to be found in the garden. The water was fed from Torver Common into a large stone cistern under the pump. Unfortunately the leather pump valve has rotted so the pump does not work at present. Apparently overzealous use of the pump caused water to flood into the cottage. The following information comes from an article by Pat Barr, printed in the local magazine ‘Nobbut Torver’ edited by David Rogers, and the photos below are from Richard Prickett, our neighbour, who was born at Ellis Howe. Additional information was given to us by Sue Charlesworth. Mary Coulthard was Sue’s great grandfather’s half sister. Despite being unmarried, Mary Coulthard had a daughter, Ann Penny Coulthard, who later married George Shuttleworth. Their daughter, Agnes Evelyn Shuttleworth, was born in 1875 and lived at Ellis Howe with her grandmother, working in the shop. Agnes Evelyn married Richard Wilson Prickett. 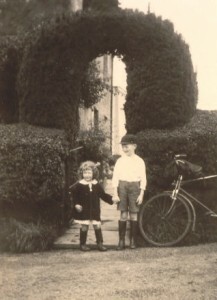 They had two children, Bessie Agnes (b.1895) and John (Jack) (b.1896), who were brought up at Ellis Howe. Agnes Evelyn died at the age of 28 in 1903, when Bessie was eight and Jack was seven years old. When Bessie was old enough, she took charge of the shop, while her father Richard and brother Jack worked as carters until the start of the First World War. They carted stone from the local quarries to the railway sidings at Torver. To cart from Broughton Moor to Torver, they used one horse and cart and one sledge to come down Broughton Moor hill; the sledge was used as the anchor weight. The pay was 2/6d per day. When the First World War was declared in 1914, Jack joined the army; after he returned in 1918, he met Rachel Elizabeth Atkinson, who was in lodgings with Tom and Ganny Coward, at Dalton Road Crossings, Torver. Rachel had worked in service at Eccle Riggs, in Broughton until she was dismissed after agreeing with her employers that the mirror above the fireplace was dusty. They had written in the dust, “This mirror is dusty.” Rachel replied on the mirror, “I know”; this was a sackable offence in those days. When Jack and Rachel married, Rachel took over the running of the shop, leaving Bessie free to pursue her career as a confinement nurse and housekeeper to expectant mothers. Jack was by this time working for the County Council as Torver’s lengthsman, keeping the roadsides tidy between Town End and Little Arrow, and from there to Sunny Bank. Rachel Prickett ran the shop at Ellis Howe for over fifty years, until it closed in 1979. 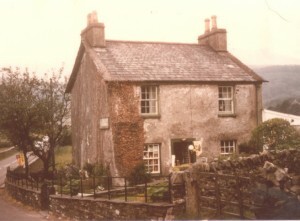 The cottage is still known in the village as “Mrs Prickett’s shop”. Jack and Rachel had two children, Richard and Mary. Richard Prickett now lives at Hollace, the property just above Ellis Howe. Richard is Mary Coulthard’s great great grandson. 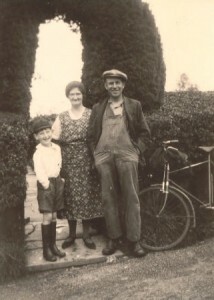 Mary married Tony Young from Souterstead and their children, John and Barbara, with her husband Sam, still farm in the village today. Ellis Howe was sold in 1990 and the new owners carried out an extensive renovation of the property; the dining room extension was designed and built in 2001, the year we purchased the cottage. The cottage is fabulous, although we missed out on the cows in the field! However, the birds more than made up for it. Never seen so many different species feeding at the same time. Ellis Howe is very well equipped and cosy, a delight to stay. We could all quite happily move in and stay.....forever! Fabulous stay had by all. Hope to be back again.